If you’ve been following this blog for a while, you’ll know that every year my mum and I go on a girls weekend away. Last year was Krakow where we took in bucketloads of culture, including an incredibly-moving visit to Auschwitz, as well as working out way through some traditional Polish food, plus some rather delicious dishes at Cyrano de Bergerac. The year before that (BEE – Before Eat with Ellen) it was Berlin. So this year we decided to head to Spain in search of sunshine and opted for a weekend in Bilbao in northern Spain. In the heart of Basque country, Bilbao’s definitely got its own personality. We knew it would be a bit different to the parts of Spain both of us had visited before and were looking forward to taking in a bit of history, art and (obviously) food. The flight’s nice and easy, and we managed to find ourselves a hotel within walking distance of everything we wanted to see, including the famous Guggenheim Museum, the historic Old Quarter and plenty of places to eat and drink. Cue two days of culture, quality time, and plenty of food and wine. Bilbao’s quite compact, so it makes it nice and easy to mooch around, especially with skies as blue as these, and soak up the Spanish sun and Basque culture. On the first day we wondered around for a few hours getting our bearings before we boarded a stereotypical hop-on-hop-off tour bus that you don’t want to like, but can’t help recognise that it’s a great way to orientate yourself round a new place. A few hours later and a few hints and tips under our belt, we were confident that our list of ‘must-sees’ was what we’d expected it to be and got cracking. 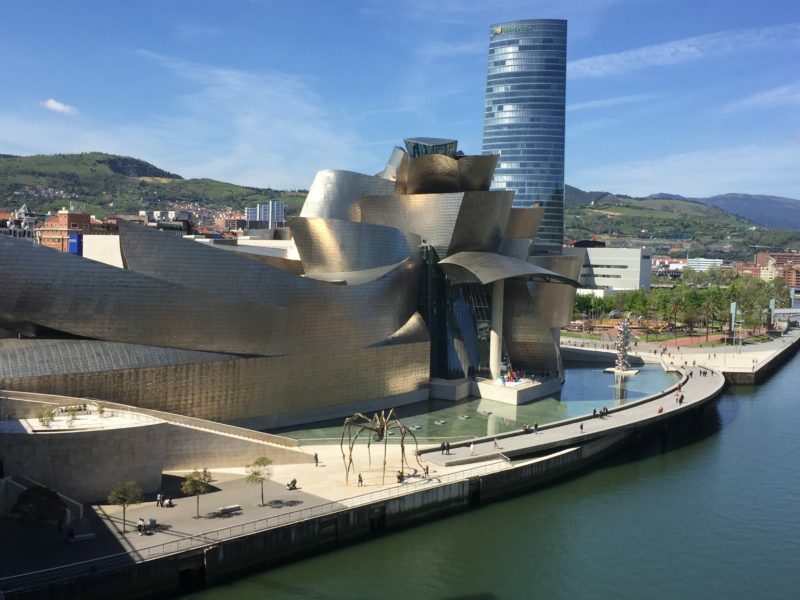 Now clearly, the Guggenheim is the jewel in the crown of Bilbao. You just can’t bloody miss it. It’s there when you drive in from the airport, its shiny titanium walls wink at you in the sunshine as you catch a glimpse down streets, and it pops up on a gentle meander down the river. I went to a TEDx conference recently and one of the talks they showed us from a previous TED event was all about the over-use of the word ‘awesome’. Of course, not everything is awe-inspiring, especially not when the word’s being bandied around by people trying to sell you a sandwich, listening to your weekend’s escapades, or compliment you in a slightly exaggerated manner. Awesome stuff is – as it says on the tin – awe-inspiring, not just great, or good, or impressive. With that in mind, folks, I can safely tell you I thought the Guggenheim was awesome. I’m no expert but Frank Gehry (the architect who designed it) is a bit of a genius. And that’s just the building itself, before you get to all the awesome pieces of art around its outside, like the massive flowery dog, or the big scary spider, as well as the hundreds inside. We actually went back the following day to do our ‘inside’ part of the Guggenheim which kept us occupied for a good few hours and we could probably have stayed more if we weren’t gagging to get back out in the sunshine. I’m not an art aficionado by any stretch of the imagination, but I reckon it doesn’t do any of us any harm to take a day to try to look at some of the incredibly creative pieces these geniuses manage to come up with and have a bit of a think about what they say to us. From the Guggenheim, it’s easy to mooch anywhere you like. We took ourselves off across the river and up the Artxanda Funicular, which takes you right up to the summit of the nearby Artxanda Mountain and its panoramic views of the city. A great place to take in both the old and the new parts of Bilbao and even see the sea in the distance. From there, we took ourselves down to Bilbao’s Old Quarter, or Caso Viejo. At its heart are Bilbao’s original ‘seven streets’, dating back to the 1400s when the city was founded. From historic buildings like the Gothic Cathedral to tiny streets lined with quirky shops and bars, I could have wandered around here all day. Well, except we were hungry. 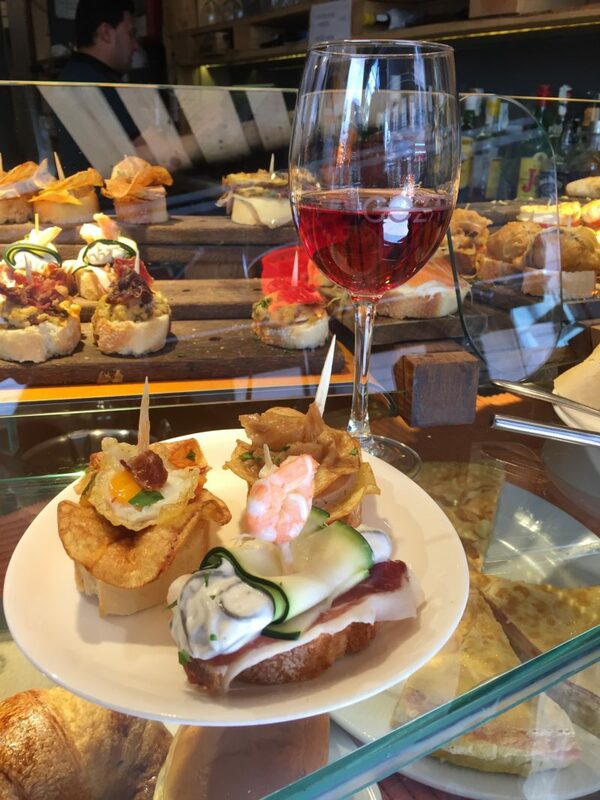 That could only mean one thing – Pintxos time! 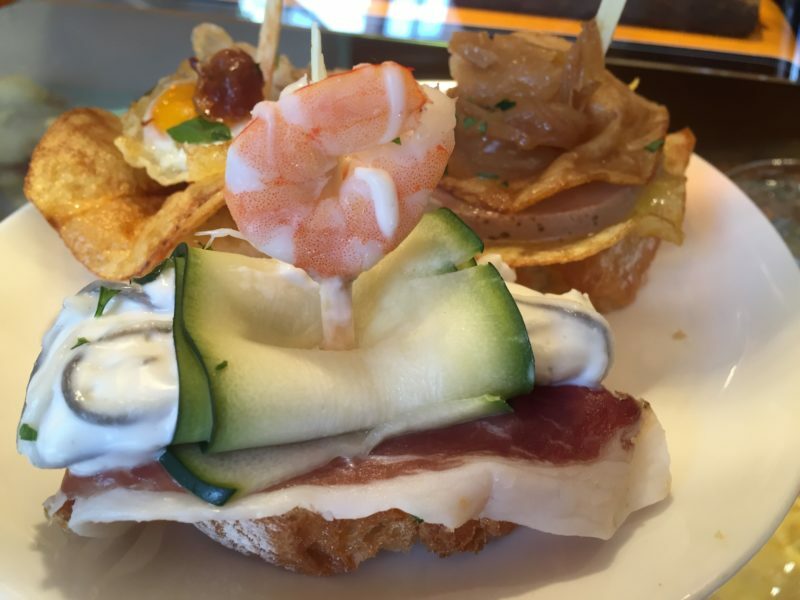 What are pintxos, you say? I’ll tell you what. Foodie heaven! Imagine sitting in a bar having a nice quiet drink and being able to steadily munch your way through a range of amazing food from wonderfully cured meats to rich foie gras, fish in various guises, tortillas, veg and all sorts. 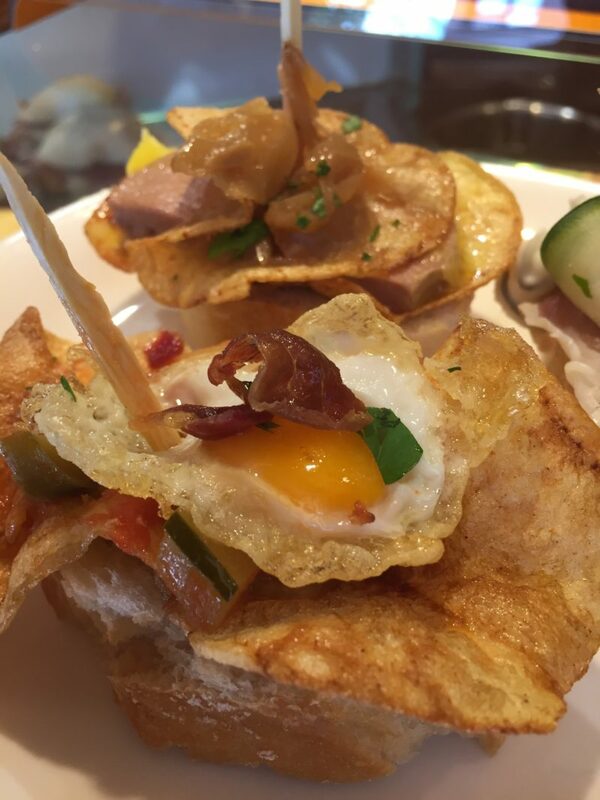 A kind of tapas-meets-buffet-meets-canape combination of glorious food-filled heaven. This is pintxos. They’re smaller than tapas and usually come served on a slice of bread with a toothpick piercing through the middle. They’re quintessential Basque and are in all of the bars, carpeting them in tempting food so even if you just planned to go in for a drink you’ll end up eating something. 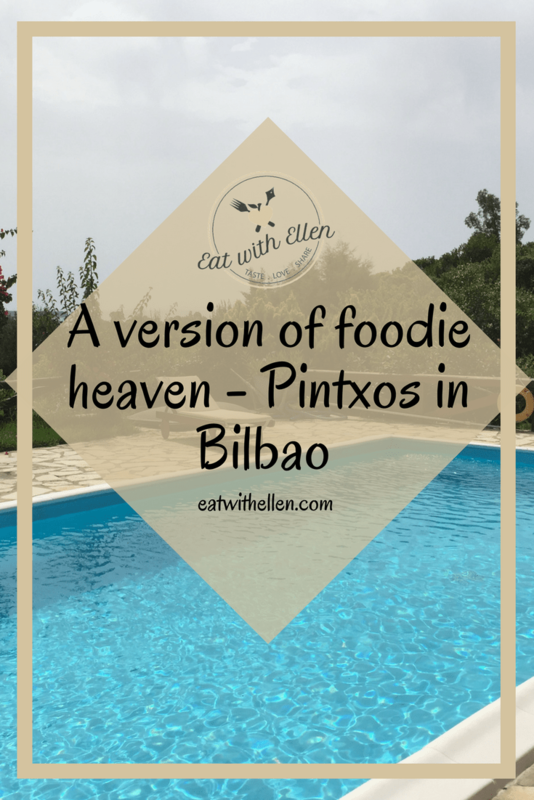 Clearly I had no plans to try to resist in any way, shape and form, and mum and I spent a fair amount of time trying different pintxos on our travels around Bilbao. The first trip I was guided by the barman, who took great delight in putting together a spread for us to try. Refuelling done, we had a wander round the Old Quarter, definitely my fave part of Bilbao. Lovely old buildings, narrow streets, perfect exploring territory and full of culture and history. 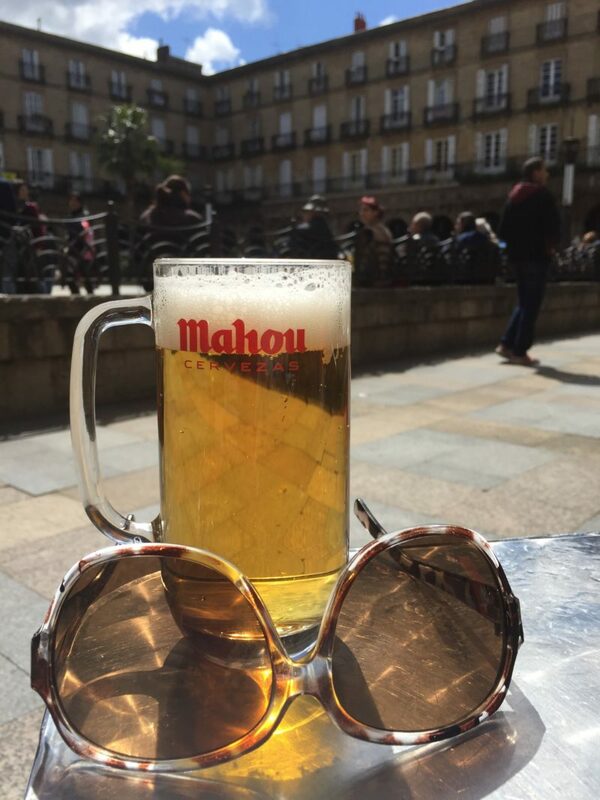 A good few hours can easily be spent here mooching about, as well as stopping off at the 19th-century arcaded Plaza Nueva – a great place for Pintxos as well as a general drink in the sunshine. All touristed out, we headed out that evening in search of some food but stupidly hadn’t quite realised it was the first weekend in May – MASSIVE Bank Holiday, not just in England but across Europe. This slightly put paid to our evening’s plans and led to more of a ‘we’ve just got to find somewhere – anywhere – that can feed us’ approach, rather than the slightly more selective list we’d compiled. Fortunately we found somewhere and had an alright, though not amazing, meal that included croquettes for me to start and some traditional Basque sausage for mum, while I hit the steak and she went for a veal steak for main. Nothing to write home about, although we had a rather delicious slice of apple cake for dessert. See, all was not lost! The next day the rain hit – nobody’s favourite moment. But that was the morning we’d planned a long old visit to the Guggenheim, so we spent a good few hours taking in a bit of art while the skies sorted themselves out. After emerging to take in some more of the newer part of Bilbao, there was only so much we could take of food-filled scenes like this before we had to give in and have ourselves another Pintxos lunch, complete with glass of vino. After another mini-feast, the rest of the afternoon was occupied with a bit more walking, some snoozing (yes, I love a nap on holiday), and then for dinner we finally made it to one of the restaurants we’d planned to try the night before. Nido didn’t just have great reviews, but was only just round the corner from the hotel making it nice and easy. There, we had a lovely meal involving a massive gin and tonic, some local wine, beautifully cooked artichoke hearts, some traditional meat dishes, and some homemade ice-cream. 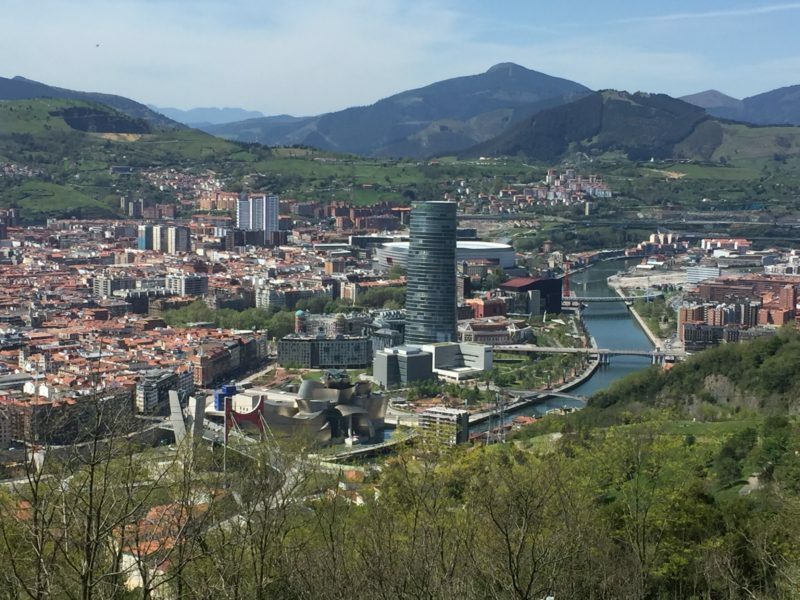 And no, I’m not waxing lyrical about the food because it was rubbish, but because this post is supposed to be more generally about Bilbao the place, not another food review. The following day we only really had the morning to kill before heading back to Blighty, so we took ourselves back to the Old Quarter to check out the Ribera Market. Right next to the river, it’s the largest indoor market in Europe. If you love fresh meat, fish and veg and if you love seeing the craziness of an old-school food hall, this is definitely for you. Downstairs down one end are Pintxos Bars where people can stop and have a snack before buying the week’s shop, while the other end and upstairs are packed with fishmongers, butchers, fruit and veg stalls and all sorts. After a bit of time taking in goats’ carcasses, pigs heads and trotters, smiley fresh fish, and everything else the market had to offer, we headed back through the Old Quarter and up to the top of the hill (only a few hundred steps) to the Basilica of Begona before traipsing back down to soak up the last few rays in the Plaza Nueva. It turns out Sunday morning is the ideal time to visit the Plaza Nueva. There’s a Sunday morning flea market, so it’s a hive of activity, packed with secondhand stalls, people selling pets, and all sorts of folk swapping football cards and stamps. We wiled away the last hour with a coffee, then moved on to the beer before heading for home. I don’t think I need to tell you that Bilbao is somewhere well worth going to. 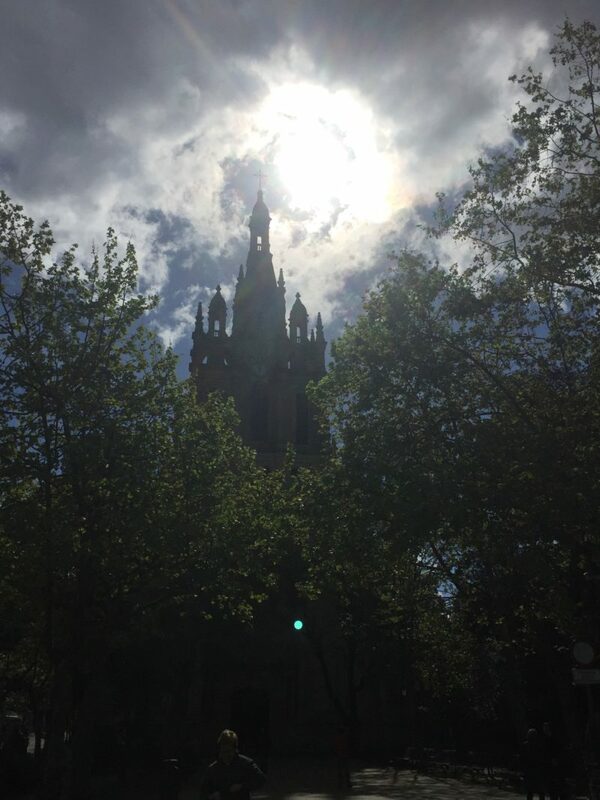 Culture, history, art, food, drink and – if you catch it on the right weekend – lovely weather. 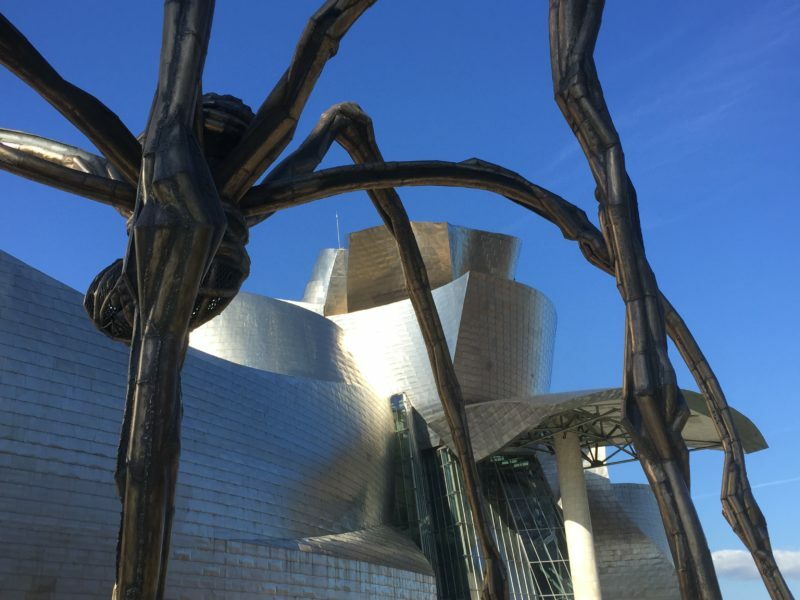 I imagine if I was with Mr M there may have been a bit more bar hopping too, but it was certainly no loss having a few civilised evenings with Mummy B.
That’s the beauty of Bilbao, it seems to have plenty to appeal to people no matter what their interests are. 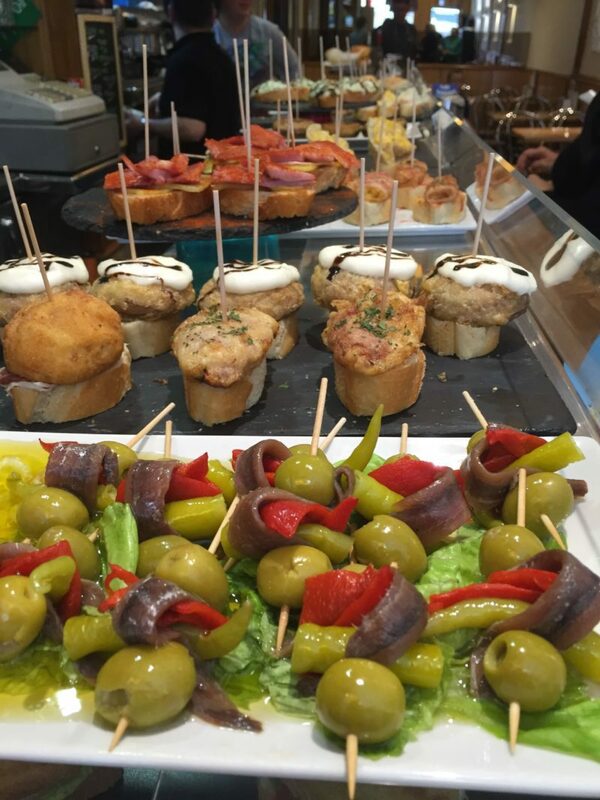 And let’s not forget – the Pintxos!!! 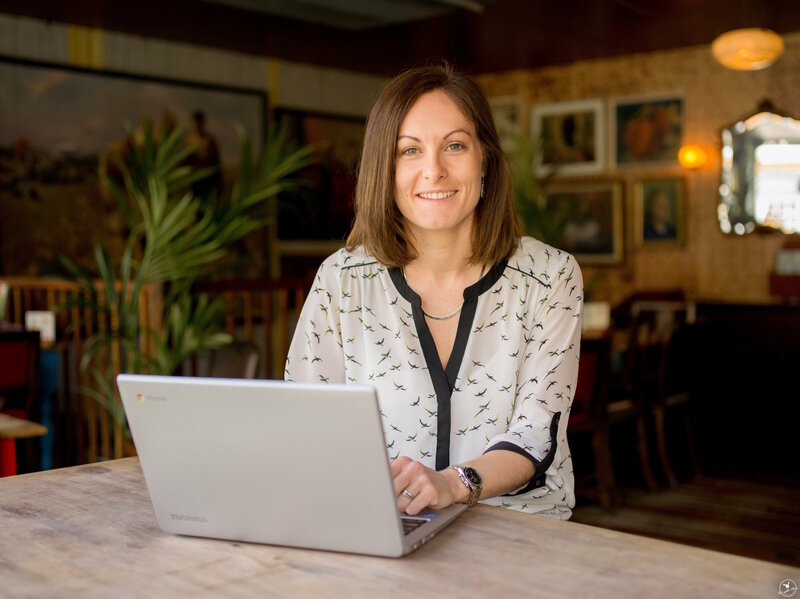 We booked our trip ourselves through Dominic & Claudia Winder at Independent Travel Experts, though you can easily organise your own by booking flights, hotels, transfers etc. They didn’t know I was a blogger or planned to write about our trip. I’m just mentioning them because they made it all very easy and sorted us out with a hotel in a great location, good flights and easy transfers.